Taylor Shipman graduated from Texas Tech University with her bachelor’s degree and received a master’s degree from Texas Woman’s University. 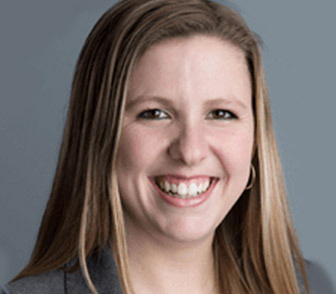 Taylor received her law degree from South Texas College of Law and is licensed to practice in Texas as well as the United States District Court for the Southern District of Texas. Since becoming licensed, Taylor has focused her practice on all aspects of personal injury litigation in Houston, representing clients who have been injured in various types of accidents including, but not limited to, maritime injuries, motor vehicle collisions, as well as industrial and oilfield injuries. In just a few short years, Taylor has successfully briefed and argued numerous motions at both the trial and appellate court level, and has attained significant trial experience. Taylor is a member of the State Bar of Texas, Texas Trial Lawyers Association and the Houston Young Lawyers Association.